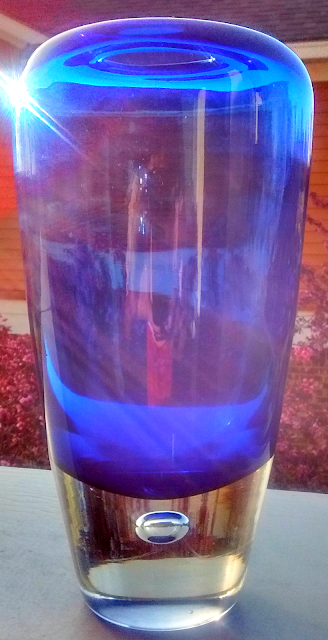 This is heavy vintage cased cobalt blue art glass vase by Krosno Poland with a bubble cased in a clear base bottom. Measures 8 inches tall, 4 1/4" across top, 2 7/8" on base. It's in excellent condition with small flea bites on base as shown above.